The new minister of Local Government, July Moyo, should put aside his party jacket if he is to successfully oversee the smooth running of councils across the country. He must desist from clashing with elected mayors and councillors like what his former colleagues - Saviour Kasukuwere and Ignatious Chombo - used to do when they ran that ministry. Instead of helping in the formulation of policies for Local Government affairs, Chombo and Kasukuwere went on a warpath with the councils, suspending mayors and councillors at will. It is sad that since Moyo took over, we have never heard him calling for an indaba with the elected mayors to come up with strategies for the five years they will be working together. By now, we would have expected Moyo and the mayors to have met, especially given that the country is battling a cholera outbreak, now being reported in far-away constituencies like Buhera. As long as there is no harmony between Moyo and the mayors, councils will continuously fail to deliver on their mandates. Already, there is discord over the induction training for councillors, amid reports that the ministry of Local Government has discouraged other councils from conducting induction trainings for new councillors. While the attendance at the on-going pre-budget consultative meetings was high, the Harare Residents Trust noted that most of the ward councillors were unaware of their responsibilities. Their lack of experience at how the meetings should be carried out meant that they had to be guided by residents and other councillors. Equally, it is also shocking that we haven't witnessed MDC leader Nelson Chamisa calling an indaba with his newly-elected mayors to map the way forward. Chamisa should know that running cities is not an easy walk in the park; it requires proper and professional management. The MDC leader should lead in the restoration of the cities' glamorous status; seeing to it that roads are repaired, people get water and that garbage is collected. Chamisa should be reminded that he is leader of all mayors as his party controls most councils, and that their failure to deliver will be blamed on his leadership qualities. We would have expected Chamisa to hold an indaba with all elected mayors for a strategic retreat where they would put programmes in place for the next five years. 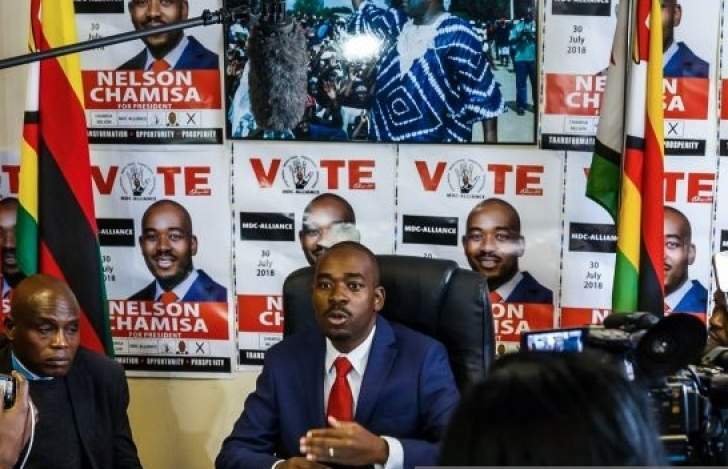 While Chamisa is still disputing the presidential results, he is happy with the council results, hence he should have a hands-on approach to give direction to the mayors. We want to see Chamisa visiting Town House, visiting Chitungwiza council, Bulawayo council and where ever they have presence and be a hands-on man than operate from Harvest House.